Legends aside, a dragon is a powerful creature possessed of extraordinary physical attributes, which command respect across the board. It is for this reason we have chosen to use the dragon as the inspiration for our latest walking stick. 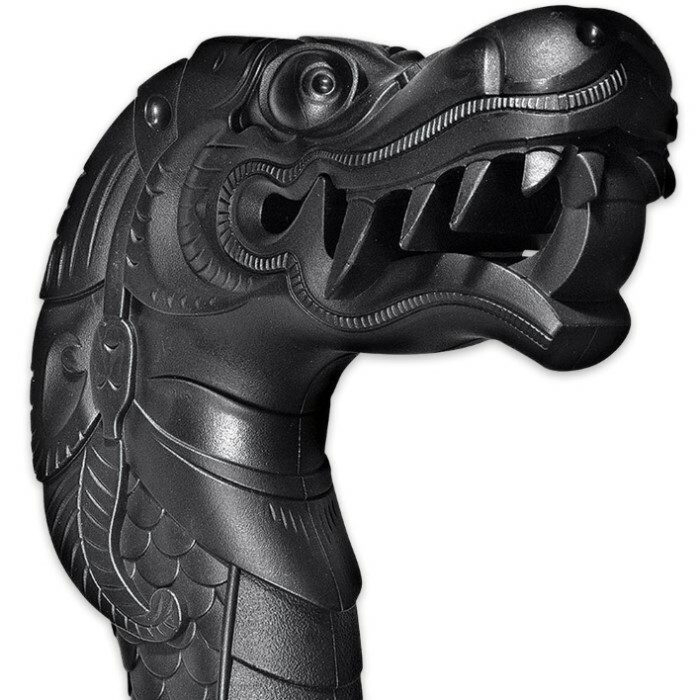 It is modeled after an intricately carved Dragon Stick from our President, Lynn C. Thompson's collection and is reproduced using expensive, hand engraved injection molds. The detailing is astonishing, with scales running the full length of the undulating shaft, and a fearsome face with snarling fangs, it is an imposing stick you'll be proud to be seen with on almost any occasion. It is fashioned, like many of our other walking sticks, from the highest grade of high impact Polypropylene available, assuring its imperviousness to the elements and guaranteeing it is virtually indestructible. 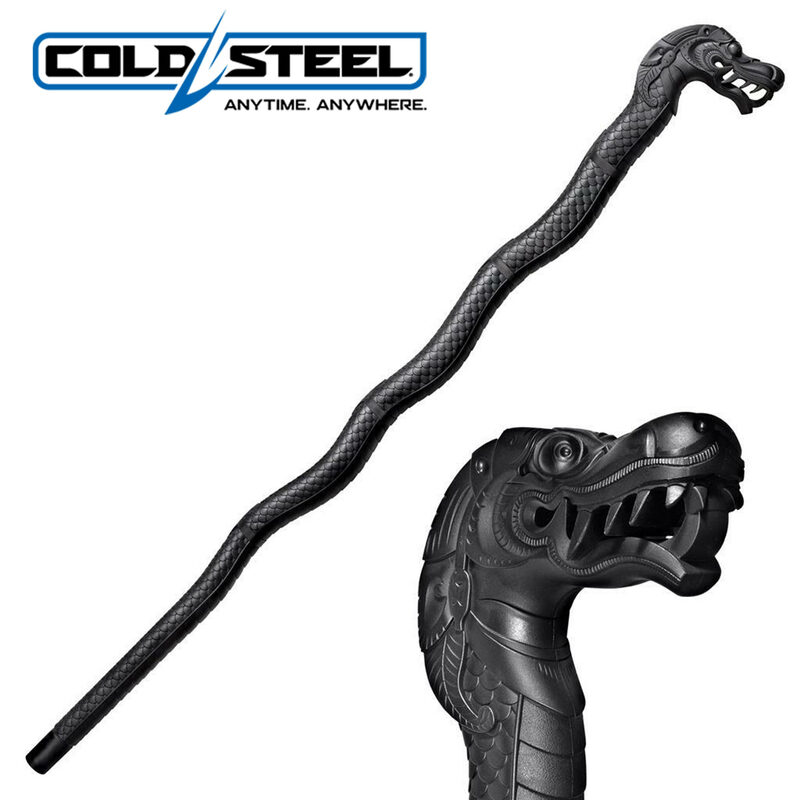 Black in color and sinuous in shape and form, it offers light to medium support and a number of grip options making it unusually suitable as an aid to balance as well as a powerful ally in an emergency self defense situation. 39 1/2 in. overall, 4 5/8 in. head, and 24 oz.